Sprawled acroos 160,000 sq. ft. of land in prime district 11. 19 Shelford is a unique condominium with 256 units and a minimart in a quiet and serene country estate for each and every lifestyle. Away from hustle and bustle of the city, it is just a short drive to shopping, schools and a host of restaurants and nightspots. 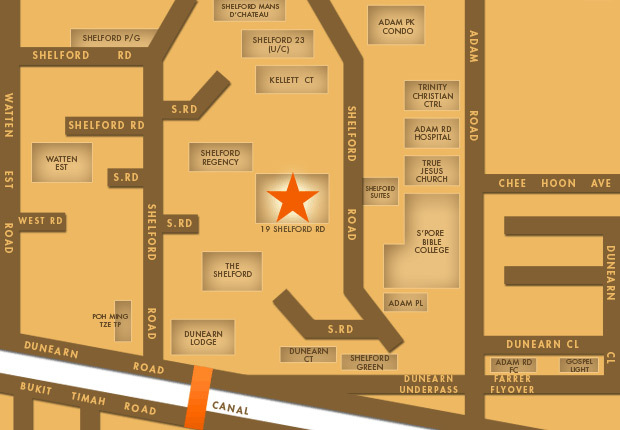 Orchard Road, CBD, PIE and BKE and major road arteries are just minutes away. Swimming pool, wading pool, jacuzzi, saunas, squash, courts, gymnasium, badminton court, children’s playground, fitness park, barbecue area, putting green, jogging tracks, landscaped garden, mini-mart and 24-hour security.